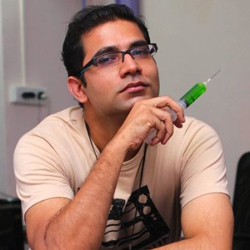 A former employee’s post alleging sexual harassment against The Viral Fever (TVF) Media Labs founder and CEO Arunabh Kumar has prompted other women to come forward with similar accounts. Operated by Contagious Online Media Network Pvt. Ltd, TVF is an online digital entertainment channel. On March 12, a woman calling herself 'Indian Fowler' published an article on Medium alleging multiple instances of molestation and harassment by Kumar over two years, before she quit her job last year. However, since then, more women have alleged sexual harassment by Kumar while dealing with him in professional capacity. Another former employee wrote in the comments section of the Indian Fowler Medium post that she had to leave TVF under "bad circumstances" after "facing a similar experience". A film-maker wrote on Facebook about having to fend off sexual advances from Kumar while shooting a web series with TVF. Her post said that she complained to her producer and the agency she was working with about Kumar, and the producer ensured that “she wasn’t alone with Arunabh for the rest of the shoot”. Two other former TVF employees told VCCircle about instances of molestation and sexual innuendos by Kumar while dealing with him professionally, which prompted them to switch jobs. They added that there was no internal set-up for investigating these claims within TVF. Kumar did not respond to a text message and multiple calls from VCCircle on Monday evening. In recent times, the startup ecosystem has seen multiple instances of women speaking out against predatory behaviour. Last month, Vayuz co-founder Pooja Chauhan alleged that investor Mahesh Murthy sent her a lewd message on Christmas. FrshDay.in founder Wamika Iyer also levelled complaints against Murthy. In February, a former woman engineer working for Uber in California published a personal blog claiming sexual harassment during her employment at the taxi-hailing company, prompting Uber to launch investigations. TVF is backed by private equity investor Tiger Global, which picked up just under 20% in the startup for $10 million, valuing it at $50 million, in December 2015, according to VCCEdge, the data research platform of VCCircle. A Tiger Global spokesperson said that the company would not comment on the issue. TVF is the second Tiger Global-backed company to be rocked by a scandal this weekend. ShopClues' co-founder and former CEO Sandeep Aggarwal, who stepped down after his arrest in the US for insider trading, has accused his wife, co-founder and chief business officer Radhika Aggarwal, and co-founder and CEO Sanjay Sethi of thwarting his re-entry into the company and having an affair.